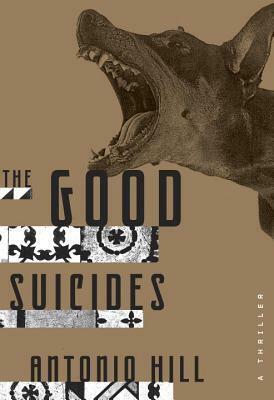 Review – The Good Suicides by Antonio Hill. This is my first time reading anything by Antonio Hill – in fact, the thing the attracted me to the book was not the blurb, but indeed the title. I like authors that tend to write outside of the proverbial box, and judging from the title, I thought why not give this one a try. I am pleased to say that I’m glad that I trusted my instinct. The blurb reads like a typical thriller. Set in Barcelona, we have a group of work colleagues who go on a team bonding weekend and come back with a shared secret. Suddenly, a few members of this group start to die in circumstances that resemble suicide. Is it coincidence or are there elements of foul play? Inspector Sadalgo must investigate before anyone else ends up dead. Now, I’ve read many a book that has been translated into English and elements have definitely been lost due to translation issues. The translator, Laura McGloughlin, has done a very good job; not once do you feel as though there is a break or fragment in the prose. For his part, Hill has created some very realistic and three dimensional characters, even if Inspector Sadalgo does sometimes fit the formula of a tired detective who sometimes goes rogue. Readers of thrillers and crime fiction need not fear that they will guess the ending or the theory behind the conclusion; Hill expertly manages to divert the reader down many different paths, albeit very believable paths. This isn’t an easy read in the sense that Hill does not let you off the hook with a simple crime-investigation-conclusion formula. You do get this, but it is a rocky, and fun, path along the way. If you want to read a good crime story, then I really recommend this book. It is a slow burner that will ultimately provide you with hours of satisfaction.